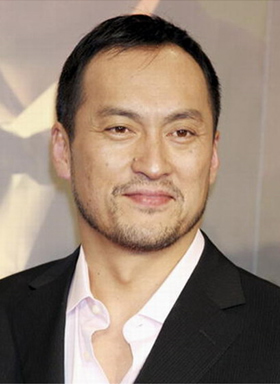 Ken Watanabe is a Japanese actor who has graced many popular U.S. films, including The Last Samurai, Batman Begins, and Letters from Iwo Jima. He also does a lot of Japanese TV dramas and films. Ken was born on October 21, 1959 in Niigata Prefecture, Japan. In 1978, straight out of high school, he moved to Tokyo, Japan to pursue his career as an actor. He drew the attention of many critics when Yukio Ninagawa, a famous Japanese director, chose him for the lead role in one of his plays, Shimodani Mannencho Monogatari, even though he was still an acting student. Ken made his first TV appearance in 1982, and his first film appearance in 1984 as Tetsuo Nakai in MacArthur’s Children, but his real career breakthrough came when he was chosen to play the lead in the Japanese national NHK TV drama series called Dokugan ryu Masamune (The One Eyed Dragon, Masamune)), in which he played a samurai leader hero. This role made him a household name in Japan. In 1989, while filming Ten to Chi to (Heaven and Earth) in Canada, Ken collapsed on set, and was soon later diagnosed with acute myelogenous leukemia. He returned to acting while simultaneously undergoing chemotherapy treatments, but in 1994 suffered a relapse. Luckily, Ken made a miraculous comeback, and in 1998 co-starred with Koji Yakusho in the Japanese film Kizuna, for which he won a Japanese Academy Award for Best Supporting Actor! After some financial trouble, Ken co-starred in Genji: A Thousand-Year Love in 2001. This role won him another Japanese Academy Award for Best Supporting Actor. In 2003, Ken took up his first U.S. role, and co-stared with Tom Cruise in The Last Samurai. The Last Samurai, which pushed him into the center stage of Hollywood with a nominated for the 2003 Academy Award for Best Supporting Actor, is his 15th movie. While shooting the Japanese film Castle of Sand, Ken divorced his wife, Yumiko, with whom he has two children. On December 3, 2005, he married actress Kaho Minami. 2005 brought two major co-starring roles for Ken. He first played The Chairman in the film version of the best selling Arthur Golden novel, Memoirs of a Geisha, and then played Ra’s al Ghul in Batman Begins. In 2006, Ken landed his first starring role – Masayuki Saeki in the Japanese film Memories of Tomorrow. Then in 2007, he played General Tadamichi Kuribayashi in the U.S. film Letters from Iwo Jima. No user commented in " Ken Watanabe "